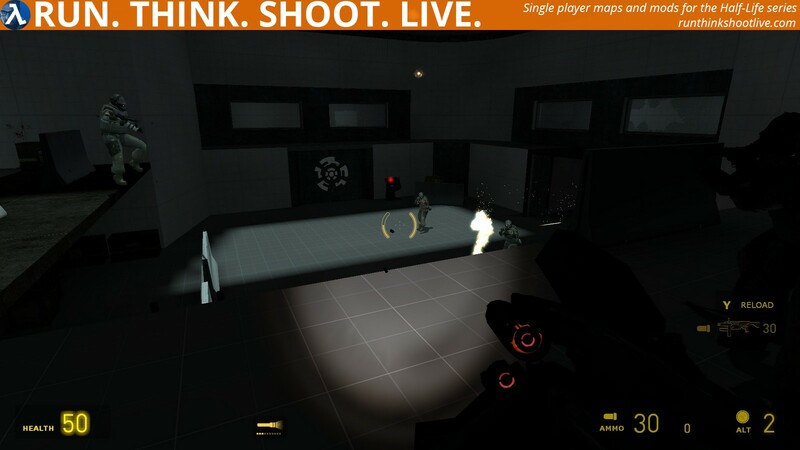 Copy enigma.bsp into your …\Steam\SteamApps\common\Half-Life 2\ep2\maps\ folder. Open the console and type map enigma and now press ENTER. Coming Soon, but it won’t be a long video, as I’ll die – A LOT! I generally don’t like arena maps – maps where you simply have to survive. It’s not why I play videos games. I want reasons, places to explore, beautiful views etc and this is all about combat. The reality is that I am bad at pure combat, so that’s why I gave it a MAYBE recommendation. You, on the other hand, may LOVE combat and whilst this map is pretty limited in its design and scope, it may provide enough for you to enjoy. Totally agree with Phillip – this isn’t enjoyable at all for me. It’s a well-constructed little map but fighting in a killbox isn’t something I am interested in. 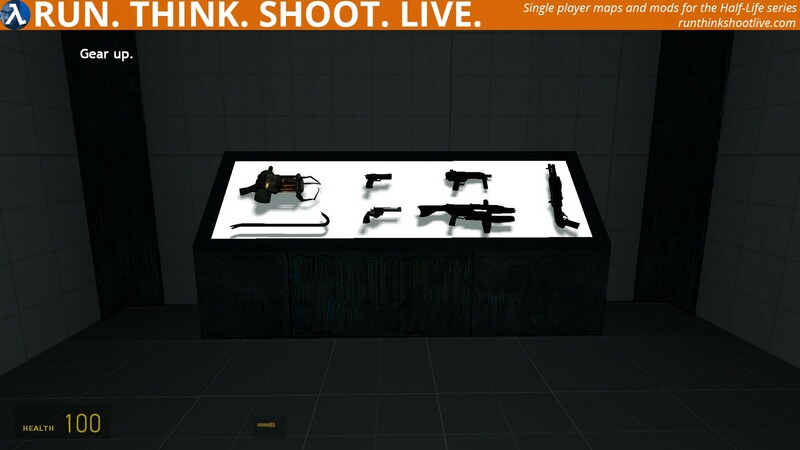 I hate to knock anybody’s work as making a map or mod for HL2 isn’t something I’d ever know how to do myself. However, I completely agree with Phillip and vancanucksfan because this isn’t ever going to be anything close for me to enjoy. I just don’t “get it” and prefer a map which offers explorational elements w/ balanced action so there’s an adventure to be had. This doesn’t do it for me. Probably other gamers, but not me. What a surprise! Didn’t really think this was going to end up on RTSL. I just wanted to say that this map was originally made to practice making arena style gameplay, and it’s about a year old. Some time after finishing the map I figured it would be fun to add an intro and outro to it, release it and see what people think. That’s part of the reason I chose GameBanana, I figured it would be perfect for this kind of low-key testing (plus I didn’t really know any other sites, only Mod DB and this site). I began working on the map with no public release in mind and therefore it is short and consists only of the arena, you could say it is more of a test map. The main reason I wanted people to review it was because of the seemingly hard difficulty. All my friends who tested it struggled a lot with the map and thought it was really hard, but they weren’t really big Half-Life fans either and hadn’t played any mods for the series before. So I wanted experienced Half-Life players to test the map and review the difficulty, so that I could know if this kind of difficulty is frustrating or challenging to the Half-Life fanbase. I myself couldn’t review the difficulty of course, since I had made the map and could complete it kinda easily (on medium difficulty). Nevertheless, I’m actually kind of pleased to see the map released here on this site, since I didn’t get any feedback whatsoever on GameBanana. Even though it’s kind of old and not specifically made for a grand public release, I will appreciate if anyone reviews the map and its aspects, especially the difficulty. Great to see you here. The first thing to say is that most of us here love the standard style of single player experience, so arena maps tend to be viewed quite harshly. The second thing is that it just was so hard, right from the beginning and if it started a little easier, I might have felt I had a chance. perhaps, you are a much better player, well actually, I am sure you are, but I feel I am as bad as most players, so I am pretty representative of the average player. My advice is to start softer and gradually build up the difficulty. Thanks for the feedback! I agree that the “standard style of singleplayer experience” is the most optimal pathway for a map to follow, I too think that those maps are the most enjoyable ones. 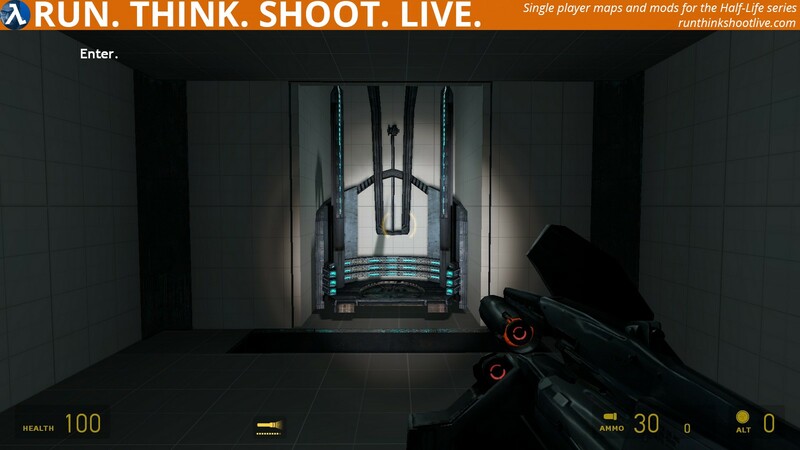 I mean, the Half-Life fans like to play Half-Life style gameplay, right? I can understand why people may not like my map when it only consists of combat and not all the other aspects that are typical for Half-Life SP mods. As for the difficulty, I figured it could be a little hard, nice to get some feedback on that too. 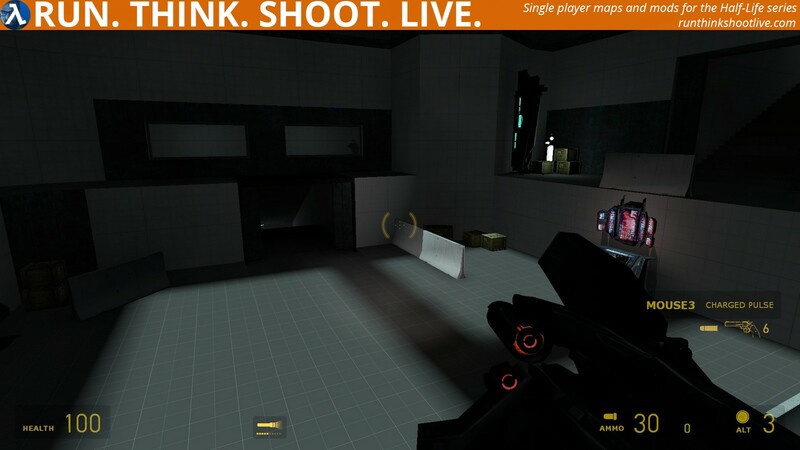 Beta testing is an important step when it comes to releasing maps, but since I didn’t really have any close friends that were in to Half-Life I figured it would be easier to just release it to the public (again, the map wasn’t made to be much of a wonder anyway, as I just wanted to practice making combat). That being said, thank you again for your feedback! I really like hearing other peoples opinions regarding my work, as it helps me look at it from a different perspective. I mean, I like survival maps, but this is just too much. Enemies coming from every entries on WAVE ONE is not a good idea. It’s a killbox, for sure, but an impossible one. The area needs to be bigger and wider for more cover and distant the player from spawning enemies. I enjoy Half-Life 2’s combat, but I didn’t find any fun in this. There are way too many Soldiers at once, in a relatively small arena. The second wave is even worse. There is a Chopper above you meaning there are only about two places you can stand without being completely obliterated by it. Add on top about a billion Combine Elites. If you really like super difficult arena maps, go ahead, but otherwise I would not recommend it.